Field Capacity/Permanent Wilting Point: Do Standards Need to Changed? A layered soil, a soil that has a fine-textured horizon on top of a coarse-textured soil, will hold twice as much water as you’ll predict from the -⅓ bar value. The phrase, “this idea must die,” is probably too strong a phrase, but certainly some scientific ideas need to be reexamined, for instance the standard of -⅓ bar (-33 kPa) water potential for field capacity and -15 bars (-1500 kPa or -1.5 MPa) for permanent wilting point. In the early days of soil physics, a lot of work was done in order to establish the upper and lower limit for plant available water. The earliest publication on the lower limit experiments was by Briggs and Shantz in 1913. They planted sunflowers in small pots under greenhouse conditions, letting the plants use the water until they couldn’t recover overnight, after which they carefully measured the water content (WC). The ability to measure water potential came along quite a bit later in the 1930s using pressure plates. As those measurements started to become available, a correlation was found between the 15 bar pressure plate WCs and the WCs that were determined by Briggs and Shantz’s earlier work. Thus -15 bars (-1.5 MPa) was established as the lower limit of plant available water. The source of the field capacity WC data that established a fixed water potential for the upper limit is less clear, but the process, apparently, was similar to that for the lower limit, and -⅓ bar was established as the drained upper limit water potential in soil. 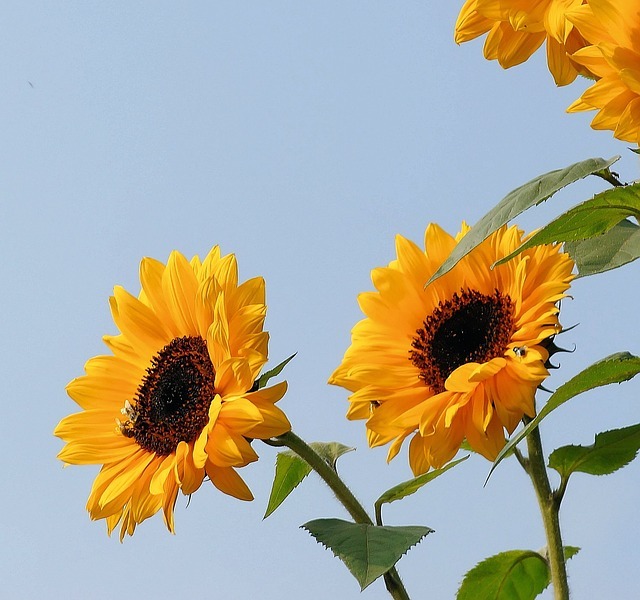 Briggs and Shantz planted sunflowers in small pots under greenhouse conditions, letting the plants use the water until they couldn’t recover overnight, after which they carefully measured the water content (WC). In practice, using -15 bars to calculate permanent wilting point probably isn’t a bad starting point, but in principle, it’s horrible. Over the years we have set up experiments like Briggs and Shantz did and measured water potential. We have also measured field soils after plants have extracted all the water they can. Permanent wilting point never once came out at -15 bars or -1.5 MPa. For things like potatoes, it was approximately -10 bars (-1 MPa), and for wheat it was approximately -30 bars (-3 MPa). We found that the permanent wilting point varies with the species and even with soil texture to some extent. Of course, in the end it doesn’t matter much as the moisture release curve is pretty steep on the dry end, and whether you predict it to be 10 or 12% WC, it doesn’t make a huge difference in the size of the soil water reservoir that you compute. However, on the field capacity end of the scale, it matters a lot. If you went out and made measurements of the water potentials in soils a few days after a rain, it would be an absolute accident if any of them were ever -⅓ bar (-33 kPa). I’ve never seen it. A layered soil, a soil that has a fine-textured horizon on top of a coarse-textured soil, will hold twice as much water as you’ll predict from the -⅓ bar value. On the other hand, if you’re getting pretty frequent rains or irrigation, that field capacity number becomes irrelevant. Thus, -⅓ bar may be a useful starting point for determining field capacity, but it’s only a starting point. 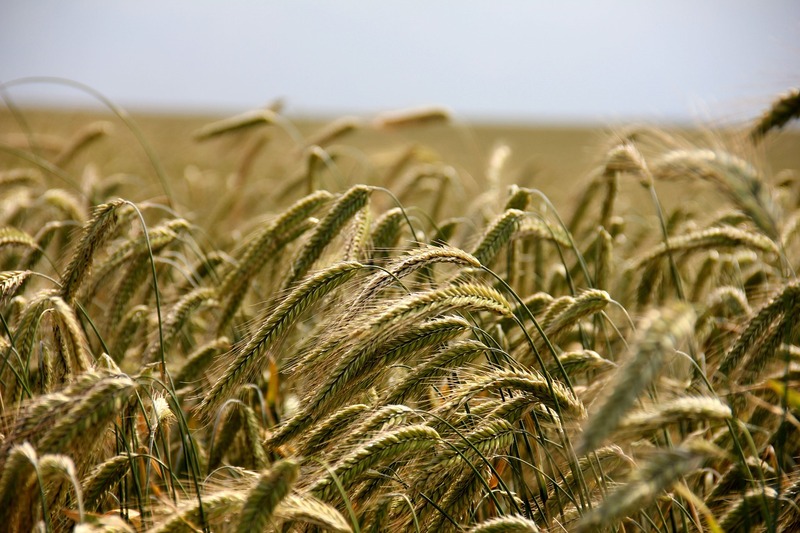 Field capacity and permanent wilting point are dynamic properties. They depend on the rate at which the water is being extracted or the rate at which it’s being applied. They also depend on the time you wait to sample after irrigation. Think of the soil as a leaky bucket. If you were trying to carry water in a leaky bucket and you walked slowly, the bucket would be empty by the time you get the water where you want it. However, if you run fast, there will still be some water left in the bucket. Similarly, if a plant can use water up rapidly, most of it will be intercepted, but if a plant is using water slowly, the water will move down past the root zone and out the bottom of the soil profile before the plant can use it. These are dynamic phenomena that you are trying to describe with static variables. And that’s where part of the problem comes. We need a number to do our calculations with, but it’s important to understand the factors that affect that number. What I hope we can do is better educate people. We should teach that we need a value we call field capacity or permanent wilting point, but it’s going to be a dynamic property. 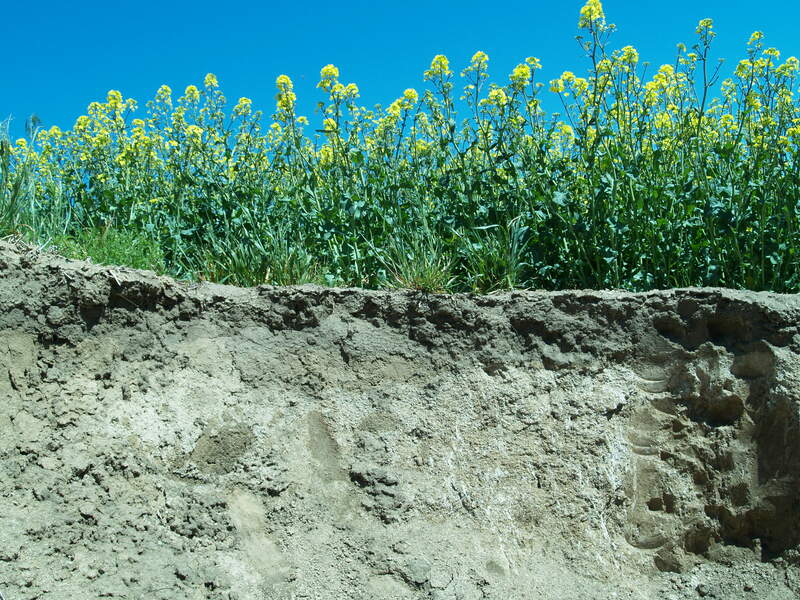 We can start out by saying: our best guess is that it will be -⅓ bar for finer-textured soils and -1/10 bar (-10 kPa) for coarser-textured soils. But when we dig a hole and find out there is layering in the profile or textural discontinuities, we’d better adjust our number. If we’re dealing with irrigated farmland, the adjustment will always be up, and if we’re dealing with dryland or rain-fed agriculture where the time between water additions is longer, we’ll use a lower number. What scientific ideas do you think need to be reexamined? Fertilization recommendations for all the same reasons. Often they are based on averaging at a single depth when in fact there are often textural changes within and throughout the soil profile. They are based on a soil volume of six inches ignoring actual rooting distribution. The values for available nutrients are determined using extraction methods that do not account for the actual dynamics of soil mineralolgy. In the case of grapes, this can lead to seriously erroneous recommendations that are detrimental to wine quality, particularly as it relates to potassium. In my view the ideas of FC and PWP “must not die”, they “must be refined”, what has been done for decades, and Dr. Gaylon Campbell already sowed in the text above several ways of refinement. The time I got my Ph.D. in UCD, 1968 to 1971, Dr. Donald Nielsen in several occations said: this equation or this solution or this problem can never be solved due to its mathematical complexity. At that time he could not imagine the developents to come with the incredible improvement of computational tools. FC and PWP are essential to define the available water box in the soil, and, therefore sould not die. They should and have been refined, mainly on the point of not being considered constant, but in the same problem!. In our water balance programs it is easy to put restrictinons on them, allowing them to vary in depth, to vary according to previous climatologic data, to vary according to root growth patterns, and so on…but all of this is already contemplated in Dr. Campbell´s exposition, so that my reply has only the intention to shake the new generation of soil physicists in order to reexamine the all possibilities of making FC and PWP flexible in soil water calculations. Professor at University of São Paulo, Brazil. One dogma that drives me crazy is basing mineral nutrient concentrations on dry matter of leaves. I had understood from my courses a long time ago that mineral nutrients like N or K had their action in solution, not in relation to the weight of medium around it. For example if two cups of coffee from the same pot are poured into a paper cup and a ceramic cup everyone agrees that the concentration of caffeine is the same. Yet it is a leaf analyzed for research, we divide the caffeine by the weight of the cup?! With fruit crops I have worked with, the dry weight can vary from 90% down to slightly less than 50% of the fresh weight depending on weather and crop load. So if we have a tree with a very low crop, the leaves are heavy with starch, and vegetative growth is vigorous. I measured the full turgid weight and the dry weight and found that on a water basis they had very close to the same nutrient concentrations. But the standard leaf analysis says they are low in nutrients due to the high dry weight and they recommend adding lots of fertilizer! Also there are many research papers that conclude that mineral concentrations decline over the season in leaves and fruit when in fact the amount per leaf or fruit may remain the same, but dry matter increases. I do understand the practical aspect for collecting leaves from growers but I don’t think researchers have an excuse to accept dry weight only without a lot of confirmation that the dry matter to water balance is constant. At least measure fresh weight. I think we might improve our understanding of water movement in unsaturated soil if we considered water as being in films on the solid surfaces instead of traveling in capillaries. We also need to appreciate how rapidly water can diffuse as vapor when the distances are very small. Perhaps these two phenomenon seem important to me because I work in a dry environment. Will Sample Disturbance Lead to Lower Accuracy?